It was found by a 13-year-old kid who got the money to buy it from his grandma. While wandering line after line of Camaros and Firebirds at the Iola Car Show in central Wisconsin, I had never been less interested in rows of classic American pony cars. In any other setting, they would have been awe-inspiring to see, but there was only one F-Body I was looking for. Finally, I found it by the winner’s circle next to the transparent trailer it arrived in which was surprisingly attached to a Toyota Tundra. 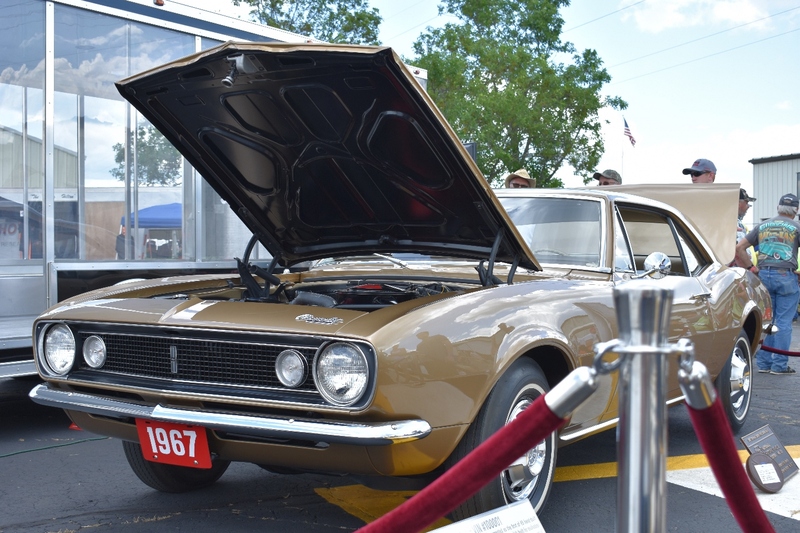 It was Camaro N100001, the first Camaro ever built and a member of the National Historic Vehicle Register. It was appropriately behind velvet ropes and it didn’t attract nearly as much fanfare as I expected. Why was this car allowed outside of a museum? This Camaro is privately owned. Corey and Logan Lawson told the story of how this priceless piece of automotive history was acquired by a 13-year-old kid from Kansas and his English teacher grandmother. In 2009, young Logan Lawson saw the car advertised and went with his dad, Corey, to Oklahoma City to have a look. Corey knew a thing or two about classic cars, and saw enough signs to be convinced it actually was the very first F-Body, despite the fact that there was little official documentation confirming it. All they had to go on was local research and the chassis stamp that read “N100001.” Since this was right around the time of the financial crisis, Corey convinced Logan’s grandma that this car was a better investment for Logan’s college fund than the stock market. He ended up right; grandma funded the purchase. 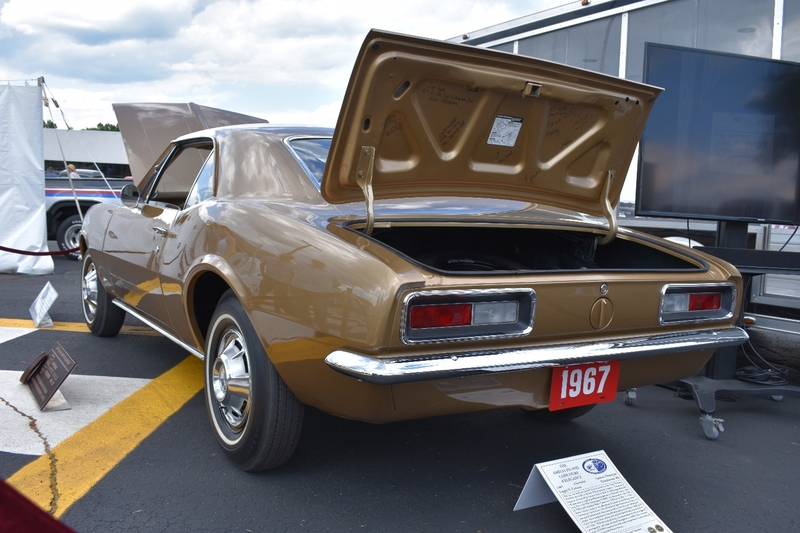 The new owners of this mysterious Camaro tracked down the surviving previous owners, asking questions about the car until tracked down the dealership that originally sold the car new. From there, they traced the original parts that were removed when it was built into a race car decades earlier. That's when they began a two-year restoration to its original specs. 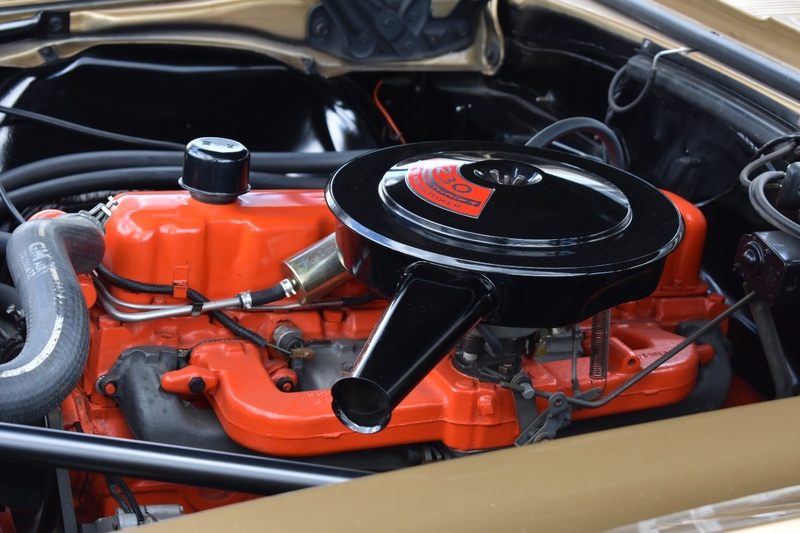 Under the hood is an original 230 ci inline-six engine with a three-speed manual transmission with a column shifter. Other than a seat cover and a carpet set, every single piece of this Camaro is an original GM part. 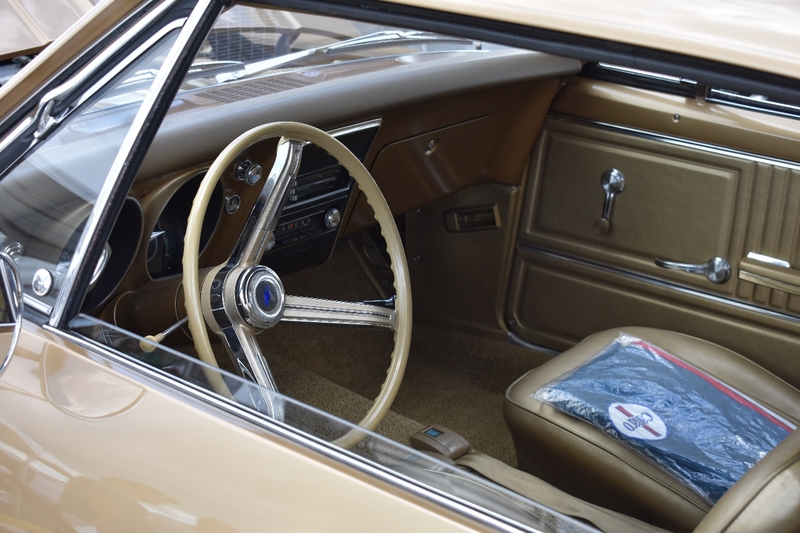 After the restoration was complete and all ownership history procured, the Lawsons reached out to the GM Heritage Center for help gathering further factory documentation and other information on their car. Camaro #1 went full circle, and was unveiled yet again at the Norwood assembly plant, where the car was originally built in 1966. 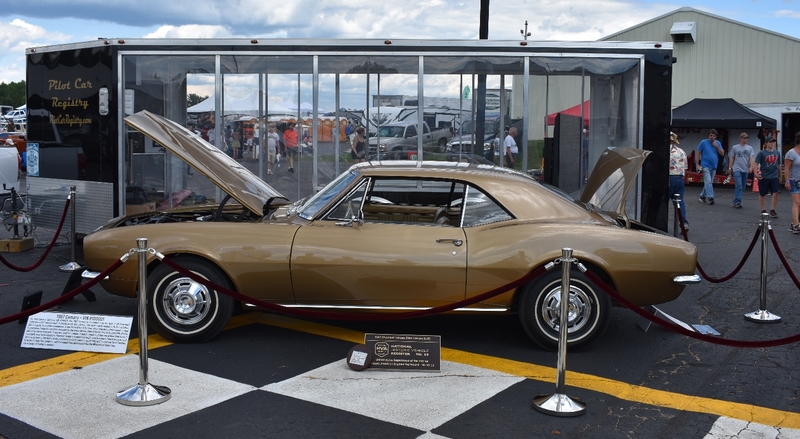 This summer, Camaro N100001 is on tour for the fiftieth anniversary of the Chevy Camaro. The Lawsons think that’s a better way to display it than at a museum since this allows more people to travel less distance to see the historic car. It also means they still get to keep it in their collection and do whatever they want with it, which is a lot more fun than having it sit in a museum. “We’re trying to bring the history back to everyone who enjoys it,” Logan Lawson told the crowd at Iola. 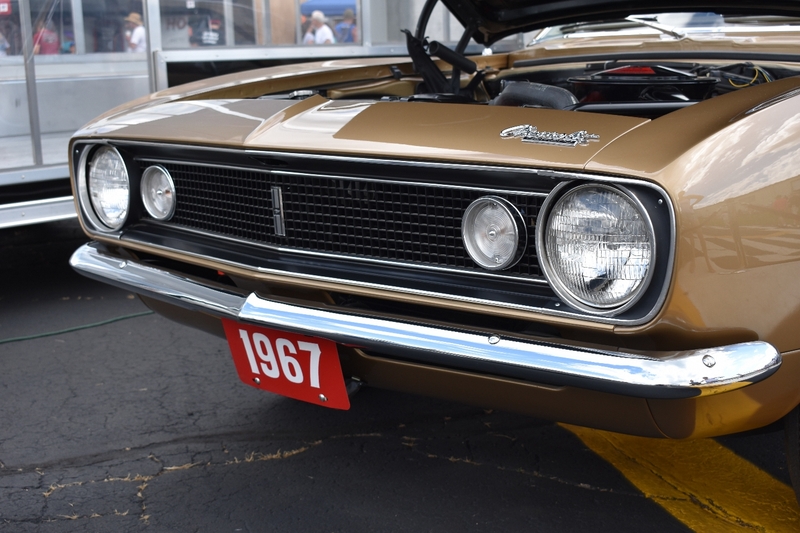 For the whole story on this historic Camaro, check out the 18-minute documentary about it below created by Pilot Car Registry. Custom American classics immortalized by Historic Vehicle Association. Is This Restomodded 1967 Chevy Camaro Worth $300,000? Marketers spend megabucks on high-end custom car builds for SEMA and other auto shows. But what are they worth when the show's over? Take your pick from a half-century of muscle cars: None will outperform the supercharged, 650-horsepower Camaro ZL1.